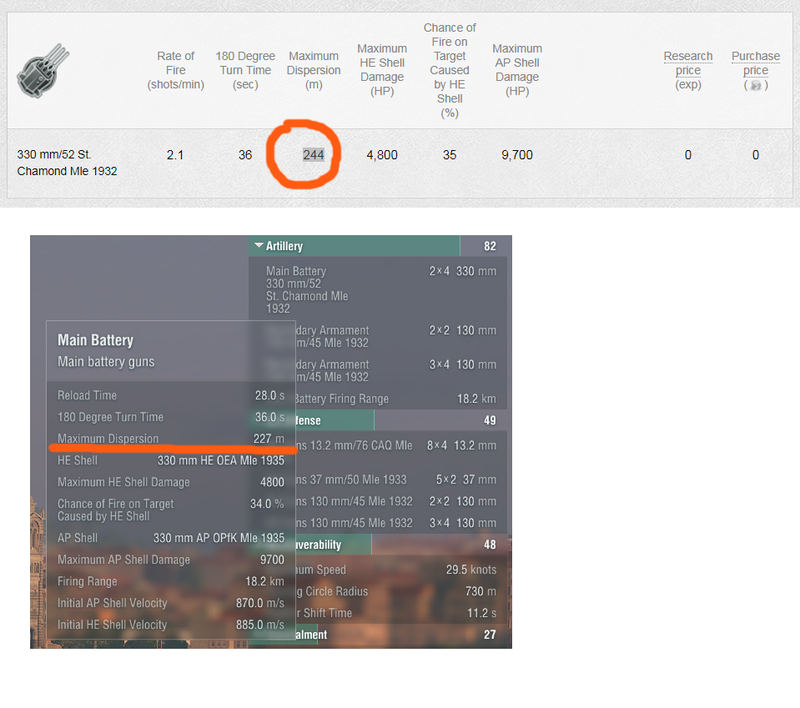 Has Dunkerque been accidentally nerfed? Dispersion is wrong! The wiki states 244M dispersion. Do you have equipment fitted that affects dispersion? Also, smaller dispersion would be a buff, not a nerf. You're right, it's the module. The guns on the Dunkerque are a bit wonky anyways even with aiming accuracy, which even at closer ranges can bite you. They also have a wonky effect when shooting broadside ships, one minute you do very good and the next shot will be very questionable. AP either works or it over pens or just plain fails to do much, that is why so many people just shoot HE as it tends to be a bit more predictable but both still suffer from those wonky gun dispersion. It's a fun ship but it could use a slight buff to make them more predictable. Almost like using a German BB anymore, you can''t seem to count on the main guns to get the job done compared to other ships.